Those who know me know that I love animals. Especially dogs, and especially my own lab Virgil, but overall, I am just an animal lover. Until recently, I could keep politics out of my love of animals, but it looks like Obama has found a way to stick his nose into that aspect of my life as well. Thanks to Obamacare, it’s now going to cost me more to take Virgil to the vet. The culprit? The medical device tax. This 2.3% tax applies to things like x-rays, ultrasounds, and laboratory equipment. Since in many cases vets use the same machines as those used on humans, they still need to pay the tax. As for that 2.3%, “That may sound trivial but if a device costs $30,000 to $40,000, it is not a trivial expense” said Dr. Douglas Aspros, former president of the American Veterinary Medical Association (AVMA). The argument for this tax was that the influx of new patients would cover the additional costs. 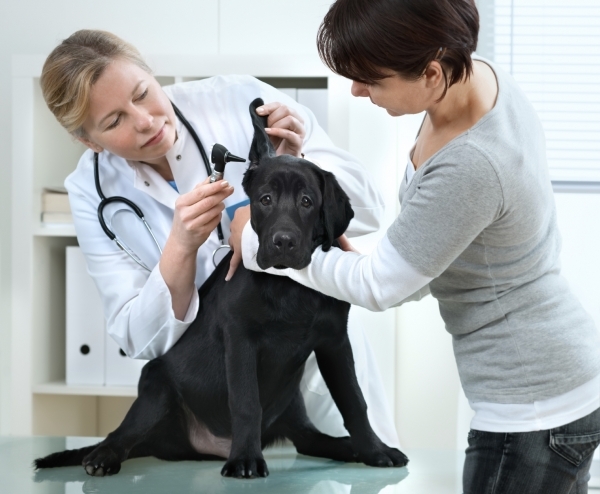 As Obamacare doesn’t mean more coverage for pets or more pets having access to health care, that argument doesn’t apply to veterinary practices. They are now working with those who make business devices to have the tax repealed. Aspros recently said “We are not getting any more patients from the Affordable Care Act, and we should not be pulled into this...This is an additional expense ... and we do not need to bear this burden on top of an already stressed environment." In fact, as higher prices are passed on to the pet owners, veterinary practices could see a decrease in revenue. People will likely skip trips to the vet or forego preventative care and vaccinations to save money in this tough economy. Not only that, but this will hurt animal shelters, who normally get a discounted rate with veterinary clinics. Now, animals will be at an increased risk for euthanasia. The impact of this law is already costing jobs, hours and loss of coverage in many fields. It looks like pet health may be another "unintended consequence" of terrible legislation. One would like to think that at some point the insanity would end. However, like those who have previously experienced totalitarian governments can attest - there is no end to what ultimately becomes ruthlessness and total subjugation. For now it seems to be ineptness and stupidity but unfortunately we are already well past that point. Grasping at straws? Really? I guess you don't know anything about veterinary medicine or what it takes to run a vet clinic. I do. This is going to hurt us with equipment purchases. It also will mean more money for diagnostics, and hinder the ability to hire more people by me and others like me. Obama is a country destroyer. I see less and less people coming through the door at my animal hospital. Why? They are broke. No money. You "progressives" are so completely stupid.